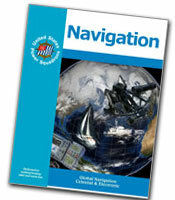 Navigation – is our senior-most navigation course. This is for the potential blue-water mariner. It takes your celestial navigation skills to a new level, showing you how to take sights and fix position using the moon, planets, and stars. You will take more complex sights and learn multiple approaches to reducing them. Then, true to our emphasis on electronic navigation, you will learn how to use electronic tools to plan and execute your offshore voyage.